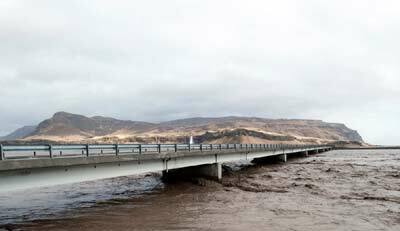 The Eyjafjallajokull volcano in Iceland erupted today, Wednesday, April 15 for the second time this month. 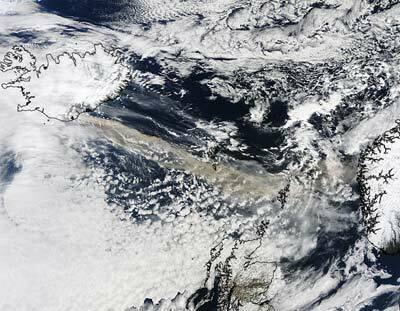 The volcano is still spewing ash into the air and the ash clouds are impacting air travel in Northern Europe. However, in yesterday’s volcanic activity, the volcano sends a long plume of ash across the north Atlantic into the UK. As a result, it’s enough to disrupt most European air traffic. 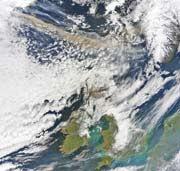 Even, British civil aviation authorities ordered the country’s airspace closed as of noon. 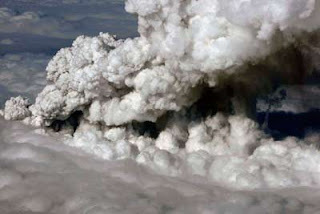 The Iceland volcano eruption on April 2010 has forced the cancellation of many flights and disrupted air traffic across northern Europe, stranding thousands of passengers. Beside that, the activity has melting ice, shooting smoke and steam into the air and forcing hundreds of people to flee rising floodwaters.